I'll be reviewing one of my go-to foundations today - MAC Studio Fix Fluid. Now, if you are oily skinned and have ever been to a MAC counter, you've probably tried this foundation. It's definitely one that I grab whenever I decide to wear makeup and it serves me pretty well. I feel like I'm beating a dead horse here, but it's worth noting that this does NOT come with a pump and you will probably want to buy one to avoid wastage. It's also just more hygienic - I read a review of a foundation with no pump, and the girl said that she just poured the excess back in the bottle off of the back of her hand... Maybe I'm just a germaphobe but I think that is just so gross and I hate to think how contaminated her foundation probably is! So I definitely thought it was worth shelling out the NZ$14 for a MAC pump for better product control and hygiene. I prefer to apply my foundations with a beauty blender, however I've found that a flat topped kabuki brush works well with SFF too. 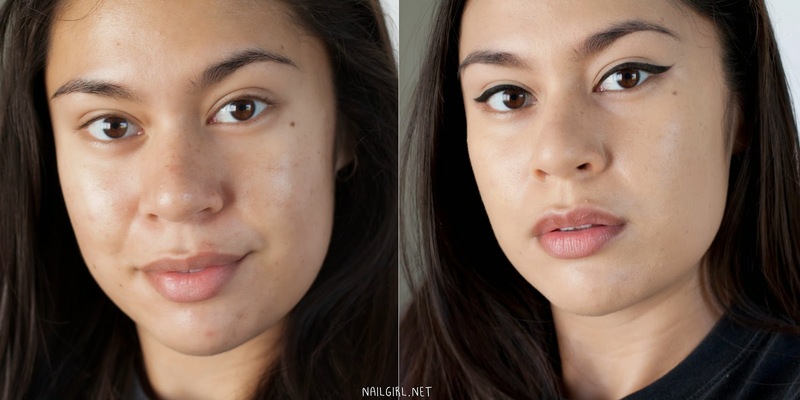 I don't notice a huge difference in coverage between the two methods, however it's so much easier to get a nice, even finish with a beauty blender. 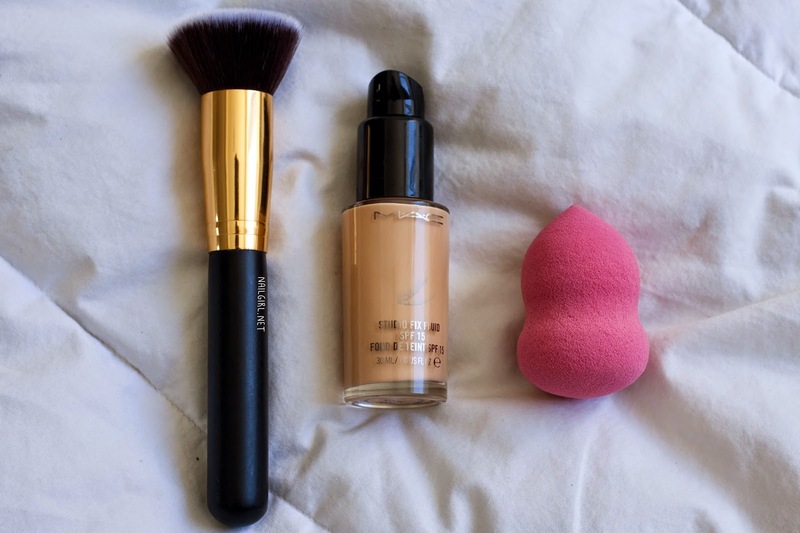 In the before and after below, I've used a damp beauty blender to apply, then set using the e.l.f HD Setting Powder. With this foundation, I always use a primer such as the Garnier Miracle Blur to help with the pores on and around my nose. When I wear this to work, I usually use the Wayne Goss Method using the e.l.f. HD Setting Power and set using Rimmel Stay Matte Powder and a powder puff - if you haven't tried this, you definitely should! I find that SFF lasts all day when I do this, and I only need to blot after about 4-5 hours instead of 2. I bought the Stay Matte Powder because I had heard it was so good, and was disappointed when it didn't work for me. I tried it again with a puff as recommended by some friends, and it makes such a difference! 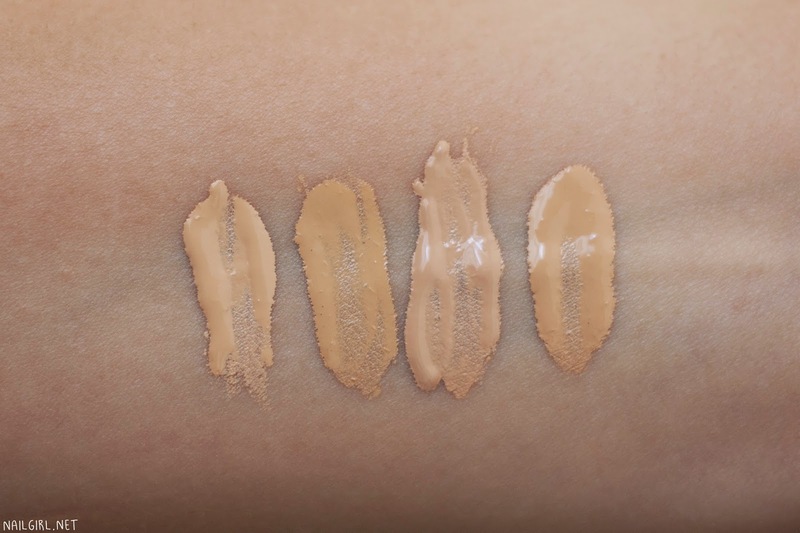 Some shade comparisons to other foundations I have - from left to right: MAC Pro Longwear Foundation NC25, Estée Lauder Double Wear Stay-In-Place Foundation Rattan, Etude House Precious Mineral Cotton Fit BB Cream W24, MAC Studio Fix Fluid NC25. I may eventually pick up Pro Longwear in NC30 to compare - while it is the same shade as SFF, I find it's just a smidge too light for me when I wear it. Overall, I'm pretty happy with SFF and will probably repurchase whenever my bottle runs out. Which liquid foundations do you prefer? Studio Fix Fluid is available at your nearest MAC counter for NZ$60 or US$27 from the MAC Website.